The American College of Surgeons (ACS) and COSECSA are proud to support women in surgery in Africa through the ACS-COSECSA Women Scholars Program 2019. This program will provide two Scholarship Tracks- one for female MCS trainees hoping to enter the FCS track and one for female FCS trainees preparing to sit for the final FCS examination. For more information and application details please visit the COSECSA website or read their flyer here. Women in Surgery Africa is pleased to invite you to its luncheon and AGM to be be held in conjunction with the COSECSA conference in Kigali, Rwanda on Thursday December 6th 2018, from 13:00 – 15:00. More information and registration details will be posted shortly. WiSA is pleased to announce the four winners of bursaries for travel to Kigali, Rwanda to attend the Annual WiSA event and the COSECSA scientific conference. These are Hetal Gohil (Kenya, MCS), Metasebia Worku Abebe (Ethiopia, Plastic Surgery candidate) and Juliet Sekabunga (Uganda, Neurosurgery). 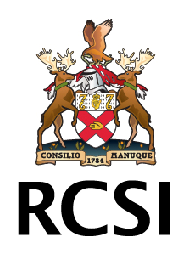 We thank the following organisations for their generous support: The Royal College of Surgeons in Ireland / COSECSA Collaboration sponsored one grant and the Association of Women Surgeons sponsored two grants. In addition, one new grant this year was sponsored by Dr. Joyce Aycock and Colleagues from the US. This grant was awarded to Dr. Reem Balila from South Sudan. These four grants aim to improve standards of surgery around the world, by recognising and facilitating trainee development. Each bursary is valued at USD$1,000 and is intended to be a contribution to the applicants’ travel costs. The four grant recipients were selected based on their potential leadership qualities and research contributions to the field of surgery. Thank you to everyone who applied. Dr. Oddsdóttir’s lifelong commitment to international education and research has enriched the world of many surgeons, which is why the SAGES Education & Research Foundation has established The Margrét Oddsdóttir International Traveling Fellowship Award. This award supports up to $5,000 of the travel, lodging, and registration expenses for an international surgeon and a member of her/his team. The award is administered by the SAGES Foundation and presented at the SAGES Annual Meeting. All applications must be submitted by February 22, 2019. Previous award winners are not eligible. The 2018 East Africa Regional Training in Reconstructive Surgery and Perioperative Care is a three day long conference hosted by Mission: Restore and CoRSU Hospital in partnership with Smile Train and the College of Surgeons of East, Central and Southern Africa (COSECSA). The training will feature lectures, discussions, workshops, and case presentations on reconstructive surgery & perioperative care, as well as opportunities to network with colleagues from the region. Full Sponsorship opportunities are available and include: Transportation, accommodations and conference fees ($2,000 USD value); Partial sponsorship opportunities will also be available. WiSA is pleased to announce the three winners of bursaries for travel to Maputo, Mozambique to attend the Annual WiSA event and the COSECSA scientific conference. These are Mumba Chalwe (Zambia, MCS candidate), Patricia Shinodo (Zambia, FCS Paediatric Surgery candidate) and Precious Mutambanangwe (Zimbabwe, MCS candidate). The following organisations are generously sponsoring one grant each: The Royal College of Surgeons in Ireland / COSECSA Collaboration, the Association of Women Surgeons and the COSECSA Oxford Orthopaedic Link (COOL) Programme. The grants aims to improve standards of surgery around the world, by recognising and facilitating trainee development. Each bursary is valued at USD$1,000 and is intended to be a contribution to the applicants’ travel costs. The three grant recipients were selected based on their potential leadership qualities and research contributions to the field of surgery. Thank you to everyone who applied. The annual Women in Surgery Africa dinner will be held in in conjunction with the COSECSA conference in Maputo, Mozambique on Thursday December 7th 2017, from 17:00 – 19:00. More information and registration details will be posted shortly. 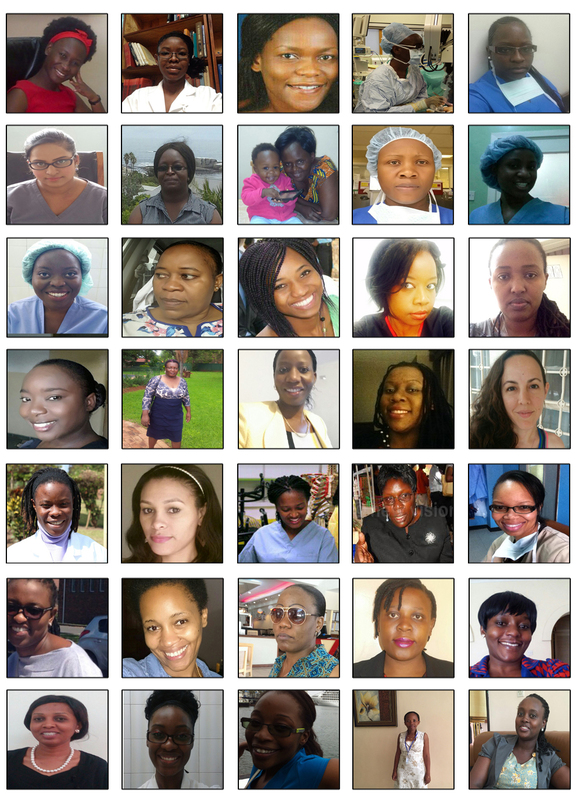 WiSA is a membership group which provides support to female surgeons, surgeons in training and medical students in the 10 member countries of the College of Surgeons of East Central and Southern Africa (COSECSA). WiSA was established in 2015 and is endorsed by COSECSA and is a recognised sub-group of the College.